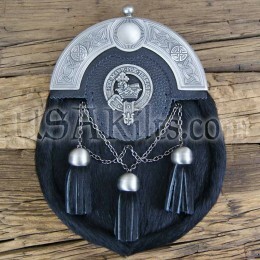 This high quality Pewter Kilt Belt buckle is made in Glasgow, Scotland. Dozens of Irish names are available. The Clan Crest buckle is a 'custom' item. Generally, this product ships within 4 to 6 weeks of the order date.